Building a product utilizing a distributed microservice architecture for the healthcare industry, while following the requirements set forth in the Health Insurance Portability and Accountability Act (HIPAA), is hard. Trust me, I have felt the pain. I’ve spent the majority of my career building, securing and ensuring compliance for products in highly regulated industries, including healthcare. The healthcare industry is a necessity for all, which is causing it to grow at a rapid pace as new advancements are made. This is great for our health and wellbeing, but it starts to pose new challenges for organizations that process and store sensitive data such as Personally Identifiable Information (PII) and Electronic Protected Health Information (ePHI). What used to be to be a system of paper charts in manila envelopes stored in filing cabinets, is now a large interconnected system where patient medications, x-rays, surgeries, diagnosis and other health related data are transferred between internal and external entities. This advancement has allowed physicians to quickly provide other entities with your entire medical history, so you receive the best care possible, as quickly as possible. But this exchange does not come without risk. Anytime you make something more accessible, you also introduce new attack surfaces and points of failure, allowing data to be leaked and increasing the possibility of malicious attacks. The HIPAA Security Rule was created to help address this new risk. It mandates that organizations that process or store ePHI follow certain safeguards to protect sensitive data. Authentication – verification of the identity of the actor seeking access to protected data. Authorization – verification that the actor is allowed to access the requested protected data. Audit Controls – mechanisms for recording and examining activities pertaining to protected data within the system. Data Integrity – protecting the data from being altered or destroyed in an unauthorized manner. Implementing these safeguards may seem like an obvious thing to do when processing or storing sensitive data, but all too often they are overlooked or may be deemed too difficult, expensive and/or time consuming to implement with available resources. No matter the reason, this is a violation in the eyes of the U.S Department of Health and Human Services (HHS) Office for Civil Rights (OCR) and can result in fines up to $1.5 million a year for each violation and can even result in criminal charges. Fortunately, a service mesh helps address many of these standards in a way that requires less effort than building custom controls, and is also less error prone. 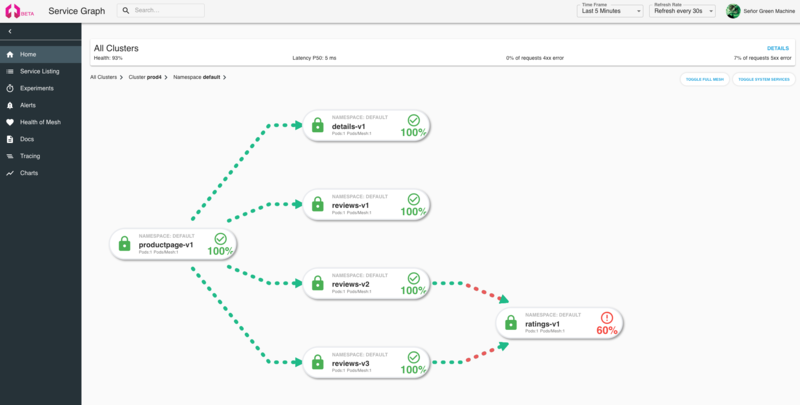 Let’s take a look at how you can leverage Aspen Mesh, the enterprise-ready service mesh built on Istio, to easily implement controls to address many of these standards that would otherwise require significant development effort and expertise. As briefly discussed, authentication is the verification of the identity of the actor seeking access to protected data. With Aspen Mesh, you can easily configure mesh wide service-to-service authentication and end-user authentication with little effort. In fact, if you use the recommended default Aspen Mesh installation, it will enable mesh wide mTLS automatically without requiring any code changes. Now that you have service-to-service authentication and transport encryption enabled, the next step is to enable end-user authentication. Below is an example of how you would enable end-user authentication on a Patient Check-in Service using an external Identity Management Service that supports JWTs (e.g. Azure Active Directory B2C, Amazon Cognito, Auth0, Okta, GSuite), so reception personnel can securely login and check-in patients as they arrive. 1. You’re going to need to make note of the JWT Issuer and JWK URI from your User Directory Service. 2. Create and apply a Policy called patients-checkin-user-auth that configures end user authentication to the Patient Check-in Service using your JWT supported Identity Management Service of choice. Aspen Mesh provides flexible and fine-grained Role-Based Access Control (RBAC) via centralized policy management. With policy control, you can easily define what services are allowed to communicate, what methods services can call, rate limit requests and define and enforce quotas. Below is a simple example of how a Patient Check-in Service can make GET, PUT, and POST requests to the Patients Service, but can’t make DELETE requests. While the Admin Service can make GET, POST, PUT, and DELETE requests to the Patients Service. 1. Create a ServiceRole called patient-service-querie which allows making GET, PUT, POST requests to the Patients Service. 2. Create another ServiceRole called patients-admin that allows GET, POST, PUT, and DELETE requests to the Patients Service. 3. Create a ServiceRoleBinding called bind-patient-service-querier which assigns patient-querier role to the cluster.local/ns/default/sa/patient-check-in service account, which represents the Patient Check-In Service. 4. Lastly we’ll create another ServiceRoleBinding called bind-patient-service-admin which assigns patient-admin role to the cluster.local/ns/default/sa/admin service account, which represents the Admin Service. As you can see, you can quickly and effectively add Authorization between services in your mesh without any custom development work. Keeping audit records of data access is one of the key requirements for HIPAA compliance, as well as a security best practice. With Aspen Mesh, you get a single source of truth with in-depth tracing between all services within the mesh. Traces can be accessed and exported via the ‘Tracing’ tab on the Aspen Mesh Dashboard or API. You may still need to add the corresponding audit logs for specific actions that happen within a service to comply with all of the requirements, but at least you have reduced the amount of engineering effort spent on non-functional but essential tasks. Data integrity and confidentiality is arguably one of the most critical requirements of HIPAA. If sensitive data such as medications, blood type or allergies are modified by or leaked to an unauthorized user, it could be detrimental to the patient. With Aspen Mesh you can quickly and easily enable transport encryption, service-to-service authentication, authorization and monitoring so you can more easily comply with HIPAA requirements and protect patient data. Building a HIPAA compliant microservice architecture at scale is a serious challenge without the right tools. Having to ensure each service adheres to both organizational and regulatory compliance requirements is not an easy task. 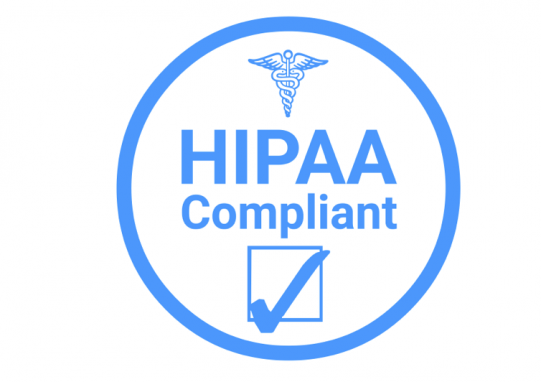 Achieving HIPAA compliance involves addressing a number of technical security requirements such as network protection, encryption and key management, identification and authorization of users and auditing access to systems. These are all distinct development efforts that can be hard to achieve individually, but even harder to achieve as a coordinated team. The good news is, with the help of Aspen Mesh, your engineering team can spend less time building and maintaining non-functional yet essential features, and more time building features that provide direct value to your customers.